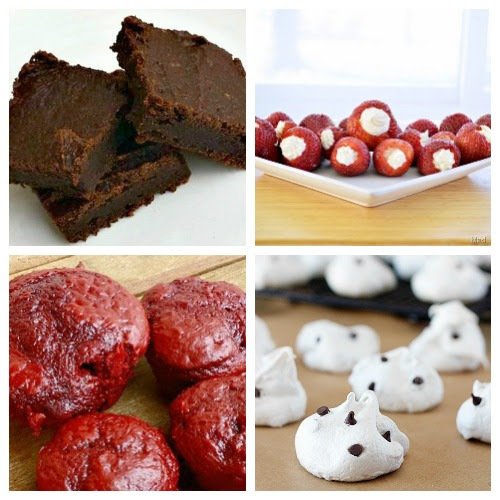 Are you craving sweets and trying to stay on the Weight Watchers program? It can be a struggle….I know because I have done Weight Watchers off and on over the years. 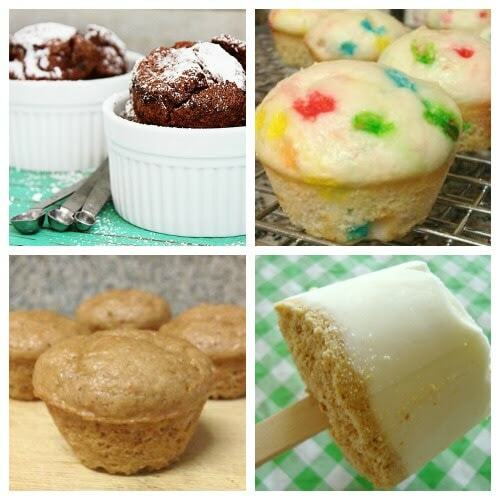 My favorite way to curb my cravings for cake and sweets is by making some delicious Weight Watchers recipes. 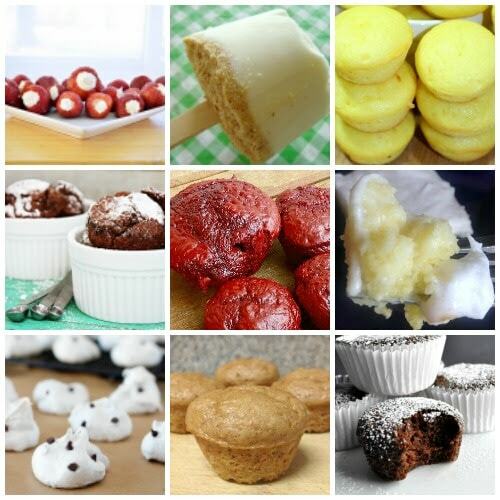 It is always good to have lots of options though….so I have found 12 drool worthy Weight Watchers dessert recipes that I think you will love! Brownie Cupcakes are perfect when you are craving chocolate cake. I am a huge fan of lemon desserts and these lemon muffins don't disappoint! Skinny Black Cherry Cheesecake will become a new family favorite…so good you won't know it is low calorie! Lemon 7up Cake is so good you can take it to a potluck and it won't last. It is amazing how a can of pumpkin can make a dessert delicious. These Pumpkin Brownies are easy to make too! Cheesecake Stuffed Strawberries are a great snack and look pretty on a party platter. Chocolate Chip Meringue Cookies are so cute and really satisfy that sweet craving. Who doesn't love some Red Velvet Cupcakes? These look so moist and delicious. I enjoy individual desserts and this Skinny Chocolate Souffle is the perfect treat! Skinny Key Lime Pie Pops are perfect for a warm summer day. Lots of people adore carrot cake and these Carrot Cake Muffins will definitely hit the spot! It will be easy to get your kids to have a healthier sweet treat when you serve Funfetti Muffins! 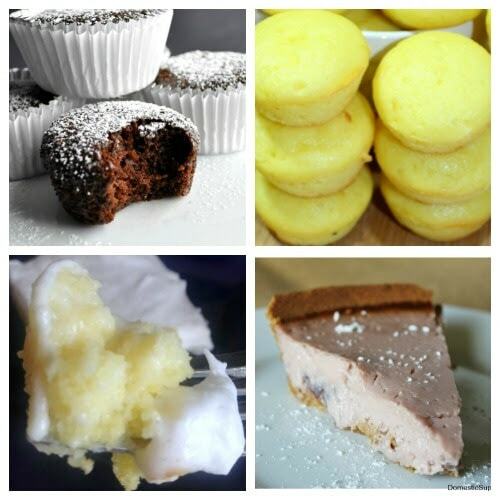 What is Your Favorite Way to Satisfy Your Sweet Tooth? I love finding out how other people stay strong when the sweet tooth kicks in. Do you make a points friendly dessert recipe or are you tempted to eat the whole cake? Do you stick with 2 point snacks? Sometimes I can get by just eating a 1 point snack and drinking a big glass of water! Let me know your tips and tricks and we can motivate each other! Be sure to check out all my Weight Watchers Recipes, Ideas and Motivations page and grab some great info! You can even print off some cute motivation cards to put around the house to help remind you of why you are working on a healthier lifestyle! Jamie thank you so much for all your hard work. I can’t wait to try some of your WW recipes . I to love taking care of my husband and home. I have already raise my 2 boys, but I do keep my grandson witch is such a joy. Because of WW I can keep up with this sweet 4 year old boy. Again thank you and keep it coming. Hi Fran, thanks for your kind words…so glad to have you as a reader! Be sure to sign up for my email newsletter so you don’t miss a recipe. I am hoping to post a new one EVERY WEEK!